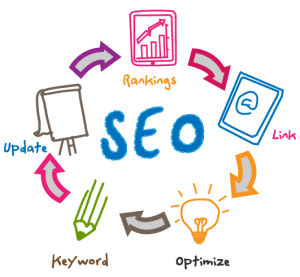 Quad Softtech provides SEO consulting services as a part of various services offered. Our primary goal is to build long-lasting business relationships with our clients by providing superior SEO Services over our competitors. We establish a partnering relationship with you and focus on your needs to provide a variety of alternative SEO Strategies and solutions. There is no guarantee with SEO, but we work diligently to obtain top rankings and increase return on investment for your business using only honest, ethical SEO practices, methods and SEO strategies. We have a team of professional SEO consultants, Expert Analyst, Strategic Data Analyst, Algorithm Developer, Internet Marketing Strategies Consultant, Blogging Strategies Specialist, Interactive SEO Designer, SEO Custom Tools Developer, who will give you the best advice for search engine optimization, Search Engine Marketing, Content Assessment, Define client deliverables, SEO Keyword Research, SEO Content Strategy, Optimize website content for search engines, SEO Maintenance. How search engines index your websites. Complete Analysis Report why your website is not in the top search engine rankings. Full consulting how to choose right keyword or key phrases for your websites. How to plan successful structured website for high ranking in the major search engines. Meta and ALT & Title Tag optimization issues. Content Addition Guidelines and which content search engines will love to index. How to build an increase your link popularity. How to make your search engine ranking un-effected from the search engines updated. Under what directory you will be gettting benefits after your website submission. How to reduce your cost in Pay-Per-Click (PPC) Advertising. We at Quad Softtech have SEO consultants who develop and monitor these services. You can hire a SEO expert that will be able to apply our experience and profound knowledge of search engine optimization to place your website at the top of search engine results.